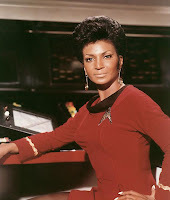 Although arguably best-known for her portrayal of communications officer, Lieutenant Nyota Uhura on the original sci-fi television program "Star Trek", African American actress Nichelle Nichols is likewise a formidable vocalist. She was born in 1936 in Robbins, a progressive Illinois community founded by blacks in the 1890's. Nichelle sang with the Duke Ellington and Lionel Hampton bands, then performed as a single in nightclubs. Garnering acting experience in supporting roles in such films as "Mister Buddwing" (1965) and "Doctor, You've Got to Be Kidding! 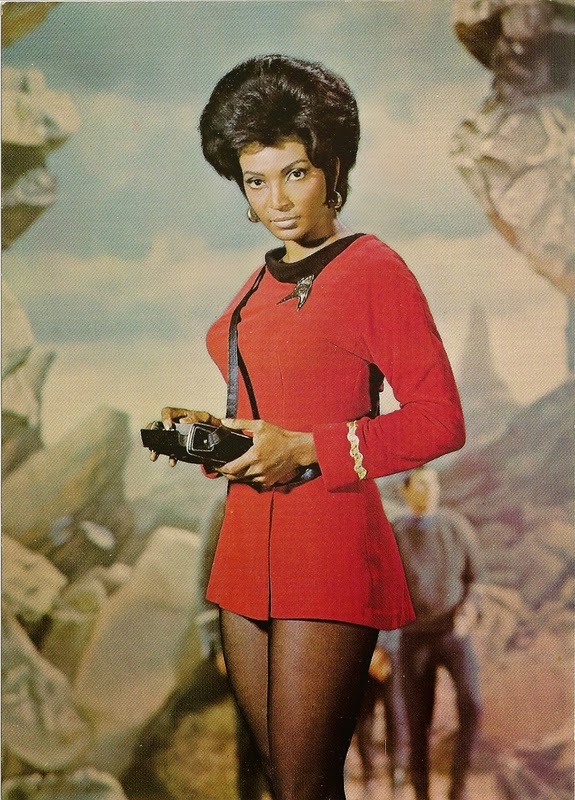 "(1966) (and a bit - and uncredited - part in Otto Preminger's silver screen adaptation of Porgy and Bess in 1959), Ms. Nichols was cast in her signature role in 1966: Lieutenant Nyota Uhura on "Star Trek". But at the end of the first season, Nichols was poised to quit the series. She was persuaded to stay by one of Star Trek's biggest fans: Dr. Martin Luther King, who felt that Uhura was a positive role model for black women. Before the series' three-year run was out, Nichols made television history by participating in an interracial kiss with William Shatner. Concurrent with her work on "Star trek", Nichols recorded for Epic Records in 1967. She then teamed up with jazz arranger Gerald Wilson to create "Down to Earth" (1968). 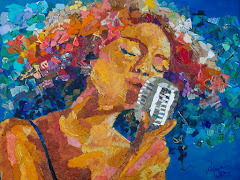 Her tremendous talents stylistically run the gamut from the up-tempo and soulful "Feelin' Good" to the torch balladry of "Tenderly" and the touching "The More I See of You". 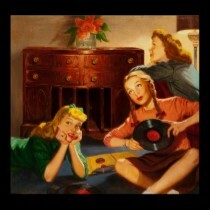 She effortlessly takes on "The Lady Is a Tramp", adding a few hip and timely humorous asides. The lesser-known title "You'd Better Love Me" and the cover of Georgia Gibbs' "Home Lovin' Man" are brought to life with equal aplomb. Nichols occasionally revisits her musical skills on-stage as well as in the studio, releasing "Uhura Sings" (1986) and "Nichelle: Out of This World" (1995).